How Old Are Animals on Earth? Lighter-toned bedrock that surrounds fractures and comprises high concentrations of silica -- called "halos"-- has been found in Gale crater on Mars, indicating that the planet had liquid water much longer than previously believed. Transmission spectra of exoplanetary atmospheres have been used to infer the presence of clouds/hazes. Such inferences are typically based on spectral slopes in the optical deviant from gaseous Rayleigh scattering or low-amplitude spectral features in the infrared. Population synthesis models of planetary systems developed during the last ∼15 years could reproduce several of the observables of the exoplanet population, and also allowed to constrain planetary formation models. We present our planet formation model, which calculates the evolution of a planetary system during the gaseous phase. 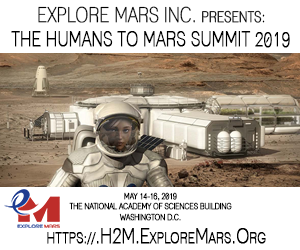 An instrument originally developed to search for organic molecules on Mars is being repurposed to potentially hunt for life on a handful of moons in the outer solar system that appear to host oceans, geysers and vents of ice volcanoes. Exoplanet science promises a continued rapid accumulation of rocky planet observations in the near future, energizing a drive to understand and interpret an unprecedented wealth of data to search for signs of life. The large statistics of exoplanet samples, combined with the ambiguity of our understanding of universal properties of life and its signatures, necessitate a quantitative framework for biosignature assessment. Here we review how environmental context can be used to interpret whether O2 is a biosignature in extrasolar planetary observations. This paper builds on the overview of current biosignature research discussed in Schwieterman et al. (2017), and provides an in-depth, interdisciplinary example of biosignature identification and observation that serves as a basis for the development of the general framework for biosignature assessment described in Catling et al., (2017). Of the roughly 3000 neutron stars known, only a handful have sub-stellar companions. The most famous of these are the low-mass planets around the millisecond pulsar B1257+12. New evidence indicates that observational biases could still hide a wide variety of planetary systems around most neutron stars. Contrary to what NASA may want you to think, the word "Astrobiology" was used decades before NASA began using it to describe the study of extraterrestrial life. 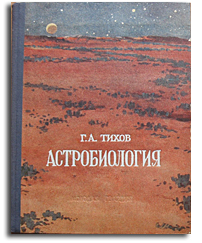 This book "Astrobiology" - "Aстробиология" was published (in Russian) in 1953 in the USSR. The photos below illustrate the topics that the book covered. Sedimentary layers record the history of the Earth. They contain stratigraphic cycles and patterns that precisely reveal the succession of climatic and tectonic conditions that have occurred over millennia, thereby enhancing our ability to understand and predict the evolution of our planet. Finding life on exoplanets from telescopic observations is the ultimate goal of exoplanet science. Life produces gases and other substances, such as pigments, which can have distinct spectral or photometric signatures. Whether or not life is found in future data must be expressed with probabilities, requiring a framework for biosignature assessment. We report the discovery of a super-Earth orbiting at the inner edge of the habitable zone of the star GJ 625 based on the analysis of the radial-velocity (RV) time series from the HARPS-N spectrograph, consisting in 151 HARPS-N measurements taken over 3.5 yr. GJ 625 b is a planet with a minimum mass M sin i of 2.82 ± 0.51 M⊕ with an orbital period of 14.628 ± 0.013 days at a distance of 0.078 AU of its parent star. The search for habitable exoplanets and life beyond the Solar System is one of the most compelling scientific opportunities of our time. More than 550 million years ago, the oceans were teeming with flat, soft-bodied creatures that fed on microbes and algae and could grow as big as bathmats. 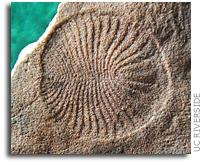 Today, researchers at the University of California, Riverside are studying their fossils to unlock the secrets of early life. 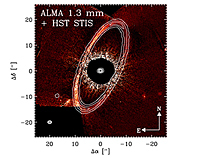 We present ALMA mosaic observations at 1.3 mm (223 GHz) of the Fomalhaut system with a sensitivity of 14 μJy/beam. These observations provide the first millimeter map of the continuum dust emission from the complete outer debris disk with uniform sensitivity, enabling the first conclusive detection of apocenter glow. The nature of aerosols in hot exoplanet atmospheres is one of the primary vexing questions facing the exoplanet field. 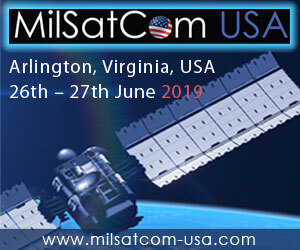 The presence of an atmosphere over sufficiently long timescales is widely regarded as one of the most prominent criteria associated with planetary surface habitability. 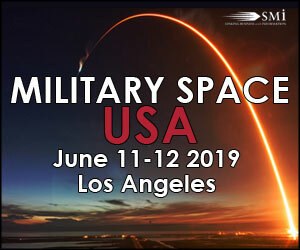 In the coming years and decades, advanced space- and ground-based observatories will allow an unprecedented opportunity to probe the atmospheres and surfaces of potentially habitable exoplanets for signatures of life. We present improved Mars Odyssey Neutron Spectrometer (MONS) maps of near-surface Water-Equivalent Hydrogen (WEH) on Mars. Geophysical measurements can reveal the structure of icy ocean worlds and cycling of volatiles. The associated density, temperature, sound speed, and electrical conductivity of such worlds thus characterizes their habitability. Seismic data will be a vital geophysical constraint on internal structure of Europa if we land instruments on the surface. Quantifying expected seismic noise on Europa is an important consideration for instrument and mission design. Ground-based observations of the Earthshine, i.e., the light scattered by Earth to the Moon, and then reflected back to Earth, simulate space observations of our planet and represent a powerful benchmark for the studies of Earth-like planets. To date, seismological efforts have been limited to terrestrial objects: Earth, the Moon, and soon Mars. All have in common a rigid lithosphere above a solid mantle. The coming years may see the development of seismological experiments for Europa, Titan and Enceladus, so it is necessary to adapt seismological concepts to the setting of worlds with global oceans covered in ice. Two sorts of solid organic samples can be produced in laboratory experiments simulating Titan atmospheric reactivity: grains in the volume and thin films on the reactor walls. The Galactic habitable zone is defined as the region with highly enough metallicity to form planetary systems in which Earth-like planets could be born and might be capable of sustaining life surviving to the destructive effects of nearby supernova explosion events. All water-covered rocky planets in the inner habitable zones of solar-type stars will inevitably experience a catastrophic runaway climate due to increasing stellar luminosity and limits to outgoing infrared radiation from wet greenhouse atmospheres. According to recent observations relative number of flare stars does not change very much from cool dwarfs to hot A stars. The discovery of Proxima b, a terrestrial temperate planet, presents the opportunity of studying a potentially habitable world in optimal conditions. A key aspect to model its habitability is to understand the radiation environment of the planet in the full spectral domain. The aim of my dissertation is to investigate habitability in extra-Solar Systems. Most of the time, only planets are considered as possible places where extraterrestrial life can emerge and evolve, however, their moons could be inhabited, too.